“On June 17th, the Pan-Orthodox Council will be held on Crete, which has been called the eight ecumenical one, but such has not been organized since the last one 1300 years ago. So, I would like to point out that this Pan-Orthodox council is being organized under the pressure of the West. We know, for example, that the ecumenical patriarch, Bartholomew, is in fact merely the patriarch of the small area of Phanar in Turkish Constantinople. If we are talking about geopolitics, then I would like to note that the Russian Church is also under enormous pressure. 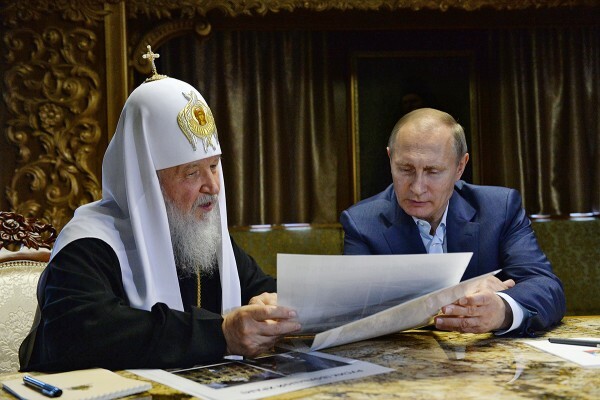 Patriarch Kirill is personally too. At the preparatory council in Chambesy, Switzerland, our patriarch, almost alone, confronted the others who wanted to raise for discussion things very unpleasant for believers which could affect the Orthodox tradition. Thanks to God, thanks to the courage of our Patriarch and, by the way, thanks to the support of the Georgian Church, he managed to insist on a neutral text. It is a declarative one, but there's no doctrinal change. This is a great achievement of our Church and the Patriarch himself. It should be taken into account that in the preparations for the Pan-Orthodox council on Crete, US intelligence services (from the FBI and CIA) were invited to help provide antiterrorist security. Even though the Council is to invite “so many Orthodox believers” that there is no one who could have blown them all up, they of course need American specialists in large quantities to control virtually all the processes of the event.